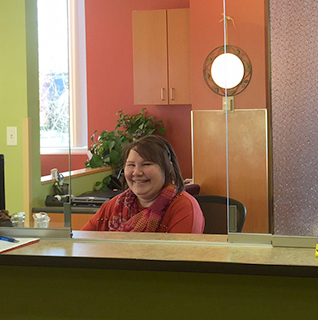 At Alaska Breast Care and Surgery, you’ll always be greeted with a smile. Our staff is filled with warm, loving, and compassionate people who are all here for one reason - You! 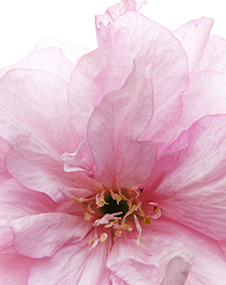 We strive to make the office as welcoming as it can be, from the lobby to our exam rooms. A note from Dr. Sandford: When I started out in practice, I was given advice on what to look for in a prospective employee. This advice specified certain traits such as attention to detail or a can do attitude. What I have come to learn over the years is that there is one trait that is more important than all others to fit into our office culture. Everyone working at Alaska Breast Care and Surgery has that ability to see every person who comes through the door as a beautiful unique child of God, and to then provide for everyone the thoughtful and compassionate care that one would want for a family member. Employees who care about patients as family members, care about the details. But we always start with a warm and loving heart. Our health information specialist, Nicole, will always be there to ensure your medical records are up to date and accurate. She’s always smiling and keeps everyone around her, patients and coworkers, smiling too. She is happy to answer any questions you may have about what you need to bring to your appointment, if anything, and will work with patients to ensure they are prepared for their visit. She responds quickly to any patient messages and works to make the process of coming in for a new patient consultation as smooth and stress-free as possible. 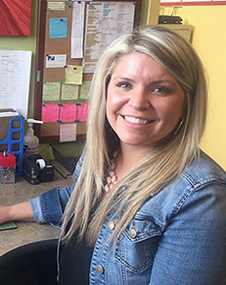 Dr. Sandford’s medical assistant, Corie, takes her time to get to know each new patient as they come to our office. She is Dr. Sandford’s right hand gal and the two work together to make sure all the complex details of patient care get addressed. She is always there for our patients and happy to answer any patient questions or concerns and will always consult with Dr. Sandford to ensure your concerns are addressed properly. Corie is a blast to work with, and patients are constantly sharing how much they adore her. You can hear her laughing with patients throughout the day. Corie’s vibrant personality shines through in every experience she has with patients and she treats everyone with kindness and compassion. Our office manager and surgery scheduler, Ashley, works to make sure that patients have a positive experience throughout the entire visit at Alaska Breast Care and Surgery. 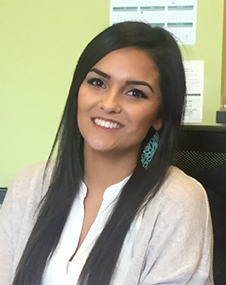 She is quick on her feet and will always find the answer when patients have questions- even if sometimes that answer is “I’m not sure- I’ll have to look that up for you!” She recently graduated from UAA with a Bachelor of Business Administration, Marketing and Management. 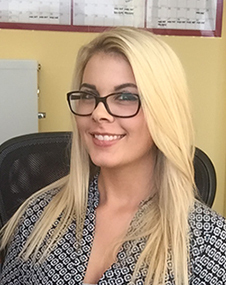 Ashley loves working in the medical field and, although she gets squirmy with the medical side of it, has an incredible drive to learn all that she can about providing excellent administrative care in a medical office. She works closely with Corie and Dr. Sandford for surgical cases and is happy to answer any questions you may have about your account. Our billing specialist, Sharon, has been working with Dr. Sandford since she first opened Alaska Breast Care and Surgery. If there’s anyone who knows the practice inside and out, it’s our Sharon. She is not always in the office, but she will always answer your billing questions as soon as she’s available. Sharon works closely with your insurance company to make sure things are processed fairly and appropriately. Read about Dr. Sandford and Nancy Nibbe.